The continuous and rapid technological progress being made in the area of aviation, the key role played by air forces in present-day warfare and the economic importance of this sector of the armaments industry explain the difficulties encountered in perfecting treaty provisions specifically governing air warfare. Air warfare has evolved considerably in line with technological advances. Initially used for reconnaissance (airships at the end of the nineteenth century), then gradually as a powerful strike force during the twentieth century, air power has more recently been a vital instrument in the “zero-casualty” wars conducted by the United States and its allies, a doctrine aimed at eliminating war on land or subordinating it to air strikes (the main examples being the Gulf War in 1991, strikes against the Federal Republic of Yugoslavia in 1999, and, to a certain extent, air strikes in Afghanistan in 2001/02 and in Iraq in 2003). Technological developments such as electronic means of target recognition and evaluation, “intelligent” munitions or unmanned aerial vehicles may promote respect for traditional principles, but they can also give the individuals who have to apply the rules an illusion of diminished responsibility with regard to respecting IHL. Nonetheless, the problems posed by air warfare have far more to do with traditional concepts of the laws of war on land (target selection, principles of proportionality and discrimination, etc.) than with the specificities of air combat in the strict sense of the term. The legal instruments specifically dealing with the subject of air warfare are thus few in number and limited in effect. The Hague Declaration of 1907 prohibited the discharge of projectiles and explosives from balloons or other similar new methods at a time when air technology was not sufficiently advanced to permit the precise targeting of objectives to be destroyed. After the First World War another specific instrument was drafted. The Rules concerning the Control of Wireless Telegraphy in Time of War and Air Warfare (commonly referred to as the Hague Rules) were drafted in 1922 and 1923. Although those rules were never ratified by States, large parts are considered to be customary law binding on the whole of the international community. Certain rules defined in that instrument – such as the distinction between military aircraft and other aircraft, and the prohibition of bombing targets other than military objectives – remain crucial. The latter point was recalled by the Assembly of the League of Nations, which adopted a resolution to that effect 15 years later. As for civil aviation, it is protected in time of peace by conventions banning the capture or destruction of civilian aircraft and defining a number of offences against civilian aircraft that may occur on board or in airports. However, the extent to which these conventions apply in times of war is a point of debate. A group of experts tried to restate the law applicable to air warfare in the Manual on International Law Applicable to Air and Missile Warfare, along the lines of what the San Remo Manual did for naval warfare, taking new technological developments and the practice of major air forces into account. The important role played by representatives of major air forces was more problematic than that of representatives of major navies in drawing up the San Remo Manual, because air warfare affects civilians in countries without major air forces much more than naval warfare affects civilians in countries without navies. The Manual nevertheless reflects a consensus between military and humanitarian experts, even though it was in many cases possible to write down only the least common denominator, in particular in the crucial area of protection of the civilian population on land against air attacks. Firstly, air attacks on targets on land are governed by the rules regarding war on land. Secondly, when an aircraft flies over the open sea or is engaged in combat with naval forces, the law of naval warfare applies and it is largely restated in the San Remo Manual. What remains is air-to-air warfare, a situation of limited humanitarian importance in respect of which the Manual on Air and Missile Warfare has led to genuine progress in clarifying the law. As for the first aspect, i.e. air attacks on targets on land, the Hague Regulations already prohibit “bombardment, by whatever means, of towns, villages, dwellings, or buildings which are undefended”. Cultural property and places of worship are protected against any form of attack by the Hague Convention of 1954 and Article 53 of Protocol I. Most importantly, Article 49(3) stipulates that the rules of Protocol I for the protection of the civilian population are applicable to air operations which may affect the civilian population on land, including attacks from the air against objectives on land. The rules of the Manual on Air and Missile Warfare mainly restate Protocol I, with some regrettable omissions and some useful clarifications. As important air powers are not party to Protocol I, the question arises whether the same rules apply under customary law to all attacks on targets on land, including if directed from the air, even though the latter were traditionally discussed under the heading of the law of air warfare. The implicit answer of the Manual on Air and Missile Warfare is affirmative, and this is correct for several reasons. Foremost, modern technology makes attacks on a given target by the air force, missiles or artillery interchangeable. Secondly, most discussions on the law of the conduct of hostilities in recent years, by States, NGOs, the Prosecutor of the International Criminal Tribunal for the former Yugoslavia (ICTY) and authors refer mainly to aerial attacks, but no one claims that the law applicable to land attacks would be different. The United States Department of Defense Report on the Conduct of the 1991 Gulf War, for instance, discusses targeting mainly in relation to cases which actually consisted of aerial bombardments, but makes no distinction between those attacks coming from the air or by missiles or artillery. As for the standards it applies, it refers exclusively to the law of land warfare, including Article 23(g) of the Hague Regulations, and applies or criticizes (indifferently for air and land warfare) certain provisions of Protocol I. At the Diplomatic Conference which adopted Protocol I, Article 49(3) gave rise to considerable controversy, in particular as to whether the rules of the Protocol should only apply to attacks against objectives “on land”, but no State questioned the idea that such attacks should at least be covered. Protocol I therefore prohibits attacks on the civilian population and civilian property regardless of whether the attack is on land, from the air or from the sea. In addition, International Humanitarian Law (IHL) prohibits indiscriminate attacks, attacks on installations and works containing dangerous forces and the use of methods and means of warfare which are intended or may be expected to cause damage to the natural environment and thereby to prejudice the health or survival of the population. All these specific rules in Protocol I also apply to air warfare, as long as there is a connection with protecting the civilian population on land. As for the second aspect, i.e. naval warfare, the Manual on Air and Missile Warfare restates and develops important rules, some of which are set out in the San Remo Manual, on the protection of civilian aircraft and in particular civilian airliners, the meaning of exclusion and no-fly zones and the possibility for aircraft (and their crews) to surrender. Examples of express agreement that does not depart from, but rather applies, the general principles can be found in the Geneva Conventions’ rules protecting medical aircraft, which were greatly improved and developed in Protocol I. Such rules are now restated in the Manual of Air and Missile Warfare as customary law equally binding upon States not party to Protocol I. Another specific treaty provision is Article 57(4) of Protocol I, which states that in air warfare “each Party to the conflict shall take all reasonable precautions to avoid losses of civilian lives and damage to civilian objects”. The standard of “reasonable” is undoubtedly slightly different from, and a little less far-reaching than, the expression “take all feasible precautions” used in paragraph 2 of the same article. The provision is in any case much vaguer than the detailed obligations prescribed in paragraphs 2 and 3. These, however, may be considered as a more detailed and precise formulation of the principle stated in paragraph 4, as they concern the principle of precaution codified in paragraph 1. Third, the provision is explicitly qualified by a reference to the existing rules (“in conformity with its rights and duties under rules of international law applicable to armed conflict”). This must probably be understood as a simple saving clause in respect of those rules applicable to air warfare. It nevertheless indicates an authoritative understanding of the States drafting Protocol I that “reasonable precautions” have to be taken according to those other rules which are not yet codified in a treaty. For the rest, as mentioned above, any modification of the fundamental principles, and we would add of the rules for attacks on targets on land which specify them, must be “proved by reference to the peculiar conditions of air warfare”. In this respect, the Manual on Air and Missile Warfare helps identify in what respect the details must be adapted to the physical realities of the air environment. One of the realities of that environment, mentioned by Oppenheim/Lauterpacht, is that “the danger of surprise on the part of apparently inoffensive civil aircraft will probably impose upon the latter special restraints as the price of immunity.” Following the terrorist attacks of 11 September 2001, this fear has become even more important. The Hague Rules defined circumstances in which aircraft lose their protection (for the aforementioned reason) very broadly, due to the more rudimentary means of verification and communication existing at the time. They stated in particular that enemy civilian aircraft “are exposed to being fired at” when flying: within the jurisdiction of the enemy; in the immediate vicinity of such jurisdiction and outside that of their own country; in the immediate vicinity of the military land and sea operations of the enemy; or even within the jurisdiction of their State, but there only if they do not land at the nearest suitable point when an enemy military aircraft is approaching. The conditions for neutral civilian aircraft losing protection were also formulated very broadly. From the wording of the rules, it is not clear whether the terms “are exposed to being fired at” refer to a factual risk of aircraft engaged in such behaviour or to a loss of immunity in law. Here too, “the fundamental prohibition of direct attack upon non-combatants”, which was “unchallenged” even at that time, leads us to the understanding that the terms could only refer to the factual risk such aircraft take, but not to a license to deliberately attack civilian aircraft identified as such and known not to be engaged in hostile activities. Today, the circumstances that make enemy and neutral civil aircraft lose protection are listed in the most detailed manner, confirmed by several military manuals and several rules of the San Remo Manual, in the Manual on Air and Missile Warfare. The danger of surprise and the difficulties of identifying civil aircraft furthermore lead the Manual to prescribe several passive precautions against attacks that must be taken by civil aircraft and corresponding active precautions, i.e. measures of verification and warning which must be taken before attacking aircraft. The peculiarities of the air environment have also resulted in special rules on the interception, visit and search of civil aircraft, which are based on those applicable on the sea, but take into account that an aircraft, unlike a ship, cannot be boarded while flying. Lastly, air-to-air operations may endanger civilians and civilian objects on land. Military objectives in the air above land perforce fall on land if they are successfully hit. The wording of Article 49(3) of Protocol I makes the provisions of that Protocol applicable to “air or sea warfare which may affect the civilian population, individual civilians and civilian objects on land”. In any case, the principles of immunity, distinction, necessity and proportionality are of general application, and precautionary measures resulting from those principles must certainly also be taken in this respect by States not parties to Protocol I. The obligations to choose appropriate methods and the appropriate target when a choice exists and to verify whether the proportionality principle is respected are particularly relevant. Those planning and deciding an attack on enemy military aircraft are simply most often unable to foresee where such a moving target will actually be hit and the crew operating an aircraft or a missile has no time to evaluate alternatives and only rarely sufficient certainty that an alternative attack will actually be successful. This is at least the case in generalized international armed conflicts. BOURBONNIÈRE Michel, “Jus in bello spatiale”, in Air and Space Law, Vol. 25/1, 2000, pp. 2-11. BOURBONNIÈRE Michel, “Law of Armed Conflict (LOAC) and the Neutralisation of Satellites or ius in bello sattelitis”, in Journal of Conflict & Security Law, Vol. 9/1, Spring 2004, pp. 43-69. DOSWALD-BECK Louise, “The Protection of Medical Aircraft in International Law”, in IYHR, Vol. 27, 1997-1998, pp. 151-192. GREEN Leslie C., “Aerial Considerations in the Law of Armed Conflict”, in Annals of Air and Space Law, Vol. 5, 1980, pp. 89-117. RONZITTI Natalino & VENTURINI Gabriella (eds), The Law of Air Warfare: Contemporary Issues, Utrecht, Eleven International, 2006, 340 pp. SPAIGHT James M., Air Power and War Rights, London, Longmans, 1947, 523 pp. BOURBONNIÈRE Michel & HAECK Louis, “Military Aircraft and International Law: Chicago OPUS 3”, in Journal of Air Law and Commerce, Vol. 66/3, Summer 2001, pp. 885-978. BRISTOL Matt C. C., “Hawks in Doves Clothing?”, in The Air Force Law Review, Vol. 20/1, 1978, pp. 48-70. CANESTARO Nathan, “Legal and Policy Constraints on the Conduct of Aerial Precision Warfare”, in Vanderbilt Journal of Transnational Law, Vol. 37/2, 2004, 431-484. DINSTEIN Yoram, “The Laws of War in the Air”, in IYHR, Vol. 11, 1981, pp. 41-64. EVRARD Edgar, “Le nouveau statut protecteur des transports sanitaires par voie aérienne en temps de conflits armés”, in RGDIP, Vol. 82, 1978, pp. 59-69. RAMAY Robert A., “Armed Conflict on the Final Frontier: The Law of War in Space”, in The Air Force Law Review, Vol. 48, 2000, pp. 1-157. ROSCINI Marco, “Targeting and Contemporary Aerial Bombardment”, in ICLQ, Vol. 54/2, 2005, p. 411-444. SABEL Robbie, “Chivalry in the Air? : Article 42 of the 1977 Protocol I to the Geneva Conventions”, in SCHMITT Michael N. (ed. ), International Law Across the Spectrum of Conflict, Newport, R.I., 2000, pp. 439-453. DOSWALD-BECK Louise, “Vessels, Aircraft and Persons Entitled to Protection During Armed Conflicts at Sea”, in BYIL, 1994, 268-277 pp. ROBERTSON Horace B., “The Status of Civil Aircraft in Armed Conflict”, in IYHR, Vol. 27, 1997-1998, pp. 113-150. 2. Surrender of military aircraft? 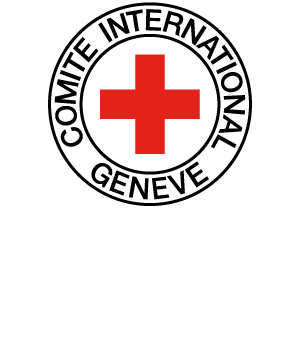 See Official Records of the Diplomatic Conference on the Reaffirmation and Development of International Humanitarian Law applicable in Armed Conflicts, Geneva (1974-1977), Bern, 1978, vol. XIV, pp. 13-25, 85, and in particular, ibid., vol. XV, p. 255, a working group reporting to the competent committee of the conference that it was unanimously of the view that the rules should at least cover military operations from the air against persons and objects on land. Oppenheim, International Law – A Treatise, 7th edition, edited by Hersch Lauterpacht, Vol. II, Disputes, War and Neutrality, London, 1952, p. 520. A US Air Force Pamphlet stipulates that “[t]he law of armed conflict affecting aerial operations is not entirely codified. Therefore, the law applicable to air warfare must be derived from general principles, extrapolated from the law affecting land and sea warfare, or derived from other sources including the practice of states reflected in a wide variety of sources” (US Air Force Pamphlet 110-31, 19 November 1976, para. 1-3 (c ), pp. 1-7). See HPCR, Manual on International Law Applicable to Air and Missile Warfare, Rules 27 (on enemy civilian aircraft), 63 and 68 (on civilian airliners), and 174 (on neutral civilian aircraft); and San Remo Manual on International Law Applicable to Armed Conflicts at Sea, Rules 53-58, for medical aircraft, civilian airliners and aircraft granted safe conduct, Rules 62 and 63 for civil aircraft, and Rule 70, for neutral civil aircraft. See HPCR, Manual on International Law Applicable to Air and Missile Warfare, Rules 37, 38, 40, 41, 55, 57 and 70; and San Remo Manual on International Law Applicable to Armed Conflicts at Sea, Rules 72-77.